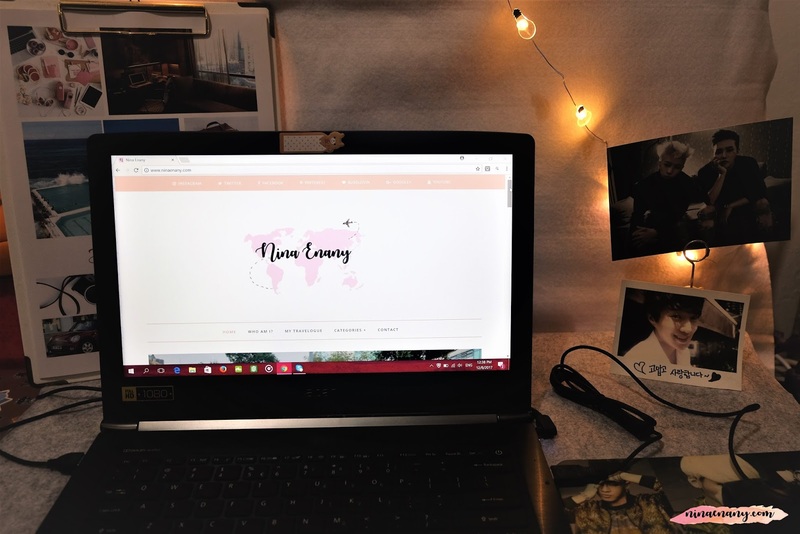 On my previous post is about [Blogging] Sometimes Changing is Good; I was share stories about my decision to make changes on my blog from A to Z. I'm feeling happy after I make this decision. I also like the new look of my blog. It looks simple, nice and cute to me. I hired my friend, who good to make blog design because I fail in this part. Thanks a lot to her, who are make changing of my new blog's look. The first decision I make for this blog is I change my domain website from nina-neulrin.blogspot.com to ninaenany.com on April 2017. I register my domain to NetKL and their service is good, even they reply email also fast. I can see the difference after I change my domain website. My blog statistic is increased on every day. I got new blog reader and also them easy to find my blog website with the simple name. Since I change my blog name, so I need to change my blog design and also the blog business card. It takes time to finish it but I like the result. These times, I got the sponsor from my uncle, who makes my blog business card. He is so kind to give me as free for my blog business card. I'm so lucky. As you know, I'm bad on graphic designer so I need to hire my friend, who's good on these things. She makes me the design of my blog business card and also my blog design based on my request. The price is reasonable for me. Now, everything is done so well and I also come back on blogging after I take rest for a while. I start super busy in July 2017. My schedule is so packed especially on weekend rather than previous months. I was received many tasks that related with my blog and traveling. I think I'm good in making the itinerary to Asian countries, like South Korea, Japan, Ho Chi Minh, Vietnam, and Singapore. I would like to say thank you for your support to what's I'm doing. I will try my best to make the itinerary look interest and fun for your vacations.